A normal every day joe who works at an oil company but when he finds some information that he shouldn't know, the gates of hell let loose upon him. There are explosions, people out to kill Jonathan Marshall. Every character mentioned in this book has crazy things happen to them and/or does crazy things. Even though the book is filled with crazy scenes, I would not categorize it as completely serious. There are some dry humorous parts that keep the mood light and entertaining. I wasn't sure what to think when I started this book so it definitely took me by surprise with every twist and turn. Every scene was unpredictable and fun to read. It feels like the book will never end because of it's overwhelming amount of drama and change in locations. The book moves at a pace that is easy enough to read, keeps you interested, but doesn't overwhelm you with information and bombard you with information your brain cannot process. Mr. Flood is definitely a creative soul to be able to write the way he does in this book. This is a completely unique book that will have you hooked, regardless of the types of books you usually read. I would rate this book as a 4/5. The only thing I can say about this book that is even remotely negative, was that the book was a bit long for my preference. All in all, a super fun read. 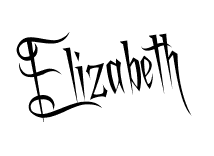 Hi Elizabeth, I just came across your kind and constructive review - thank you so much!